Continuing the topic brought up last week, Takechan asks Meimi if she wants to do anything special for the 100th show. Meimi, being the thespian that she is, wants to ask some actors onto the show or broadcast from a theater. She is very adamant about it; anybody is okay, even understudies. If she could ask someone in particular, she’d ask her favorite actors and actresses from Gekidanshiki (Japan’s version of Broadway) to come on. Even some fans wrote in to say they’d want them on the show. Takechan takes the opportunity to remind her that this is the 100th show for everyone, not just Meimi. Meimi: But that’s okay, everyone can just invite whoever they want! Takechan: They won’t fit in here! Meimi asks Takechan who she would invite. “I won’t say,” she says, “because I want to go to a theme park.” She wants to do the show while riding on roller coasters, but she admits that even though she likes roller coasters, she’s never actually been on one that goes very high off the ground so she doesn’t know how she’d react on radio if she had to ride one. Still, she and Meimi both agree that they should go to FujiQ and have all four of them go into a haunted house and do a report from inside. It’s settled, it’s happening. If they can go at all, that is. After Takechan finishes doing a promo for the play, during which Meimi is yelling “yay~” the whole time in the background, they talk about the 3rd generation members, Murota Mizuki, Sasaki Rikako, and Aikawa Maho. Meimi is really excited for Murotan joining because she remembers her from the 2nd gen auditions and how strange it must be for her to go through everything and still end up in the same group she originally auditioned for. 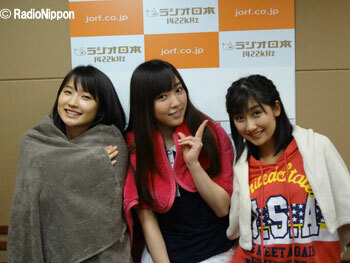 They’re also very happy about AiAi saying she wanted to join S/mileage. 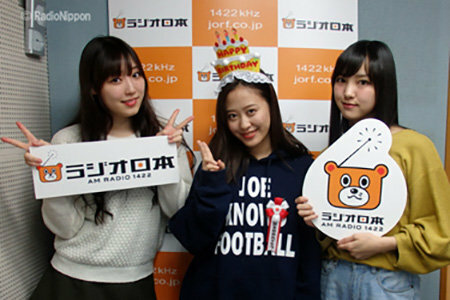 They recognize that girls these days have a lot of idol groups to choose from, and they want to thank them for flying with us today voicing their love of S/mileage over groups like Morning Musume. Takechan mentions how strange it is for there to be so few people left in KSS from when she was in the program. For Meimi, it’s weird that those few people are technically more senior than she is by tenure, yet she calls Taguchi Tagucchi and Taguchi calls her Tamura-san. Takechan says she’s perfectly able to turn it around and call her Taguchi-san if she wants, but Meimi seems less than enthusiastic about it. With everyone’s summer vacations ending and autumn quickly approaching, Sayashi asks Fuku-chan and Maa-chan about their memories of the past summer. Fuku-chan mentions having gone to a summer festival with Oda and Eripon and enjoying some delicious peach flavored shaved ice. She asks Maa-chan how her summer was. 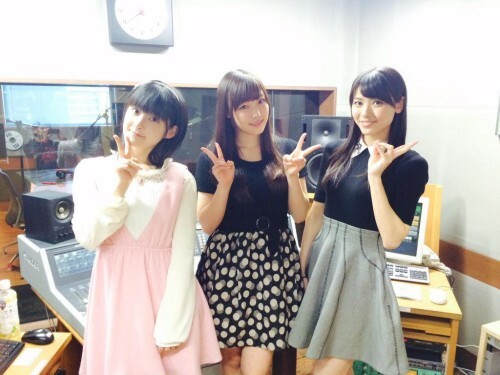 Maa-chan: This summer was really, really fun! Maa-chan: No! Wait! I have so many regrets about it! Maa-chan explains she meant this in regards to having missed out on a couple of Hello!Con performances earlier in August due to her ill health, but says she’s 100% fine now. But on the plus side, she says, she got to go back to Hokkaido which probably helped her get the rest she needed and get better. Fuku-chan, too, has noticed Maa-chan looking a lot better since coming back from Hokkaido. 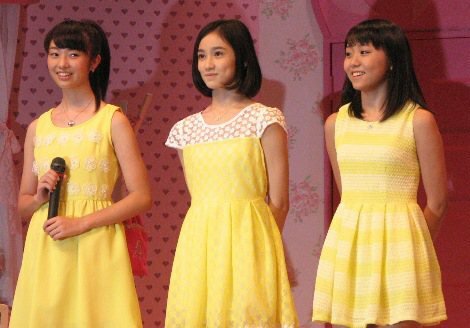 (Unfortunately, Maa-chan was again absent due to ill health on September 10 when Morning Musume appeared as guests at °C-ute’s Budokan concert). Sayashi regrets not having been able to go to any summer festivals, but on the other hand, she enjoyed her work as well their trip to Hawaii. She says she had a fun summer. 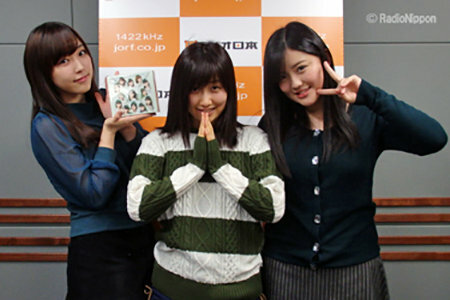 Fuku-chan’s choice is °C-ute’s “Wasuretakunai Natsu.” She says she loves it and listens to it a lot, and that she actually wanted to sing it at their event in Hawaii but couldn’t: the way it works is that the members all have to send in several choices of songs they’d like to sing over to their manager, and this song unfortunately didn’t get picked. She hopes to get to sing it at a future summer event.